What's the first thing that comes to mind when you think of Japan and the Japanese people? Is it samurai? Ninja? Geisha? Well, you may be hard pressed to see them wandering the streets of Japan nowadays, considering that samurai are no more, and ninjas are only seen when they want to be seen. But, there is one place where these historic ways of life continue on, and you can see them all at once in a traditional Japanese atmosphere. That place is Toei Uzumasa Eiga Mura (The Toei Kyoto Studio Park). Unlike Universal Studios, filming is still actually done here in the theme park we are about to roam around in. This is one of the movie sets inside the theme park. Maybe you recognize it? 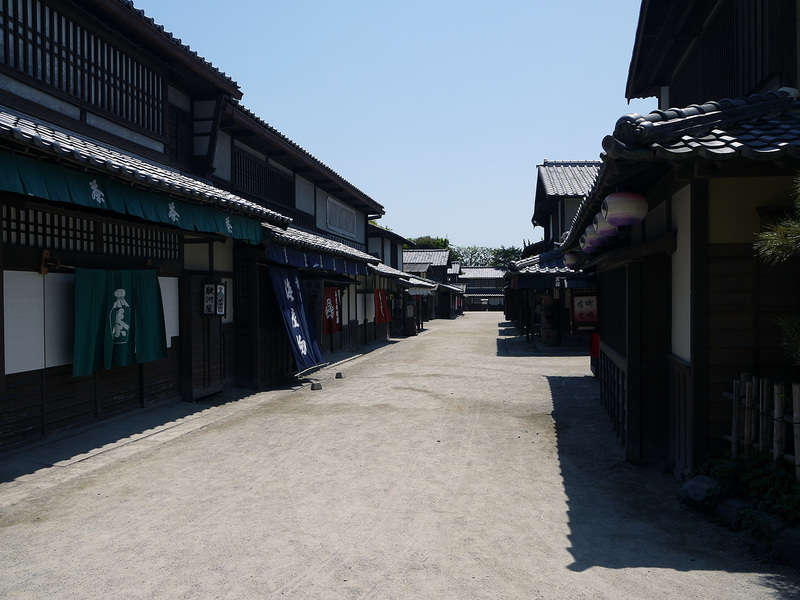 Currently, it's the set for things filmed in the Edo period. If you want to know more about the movie set side of things, be sure to check out our article about it: "How To Shoot A Samurai Film". When they shoot films in the theme park, they primarily shoot scenes that incorporate the streets and the exterior of the buildings. 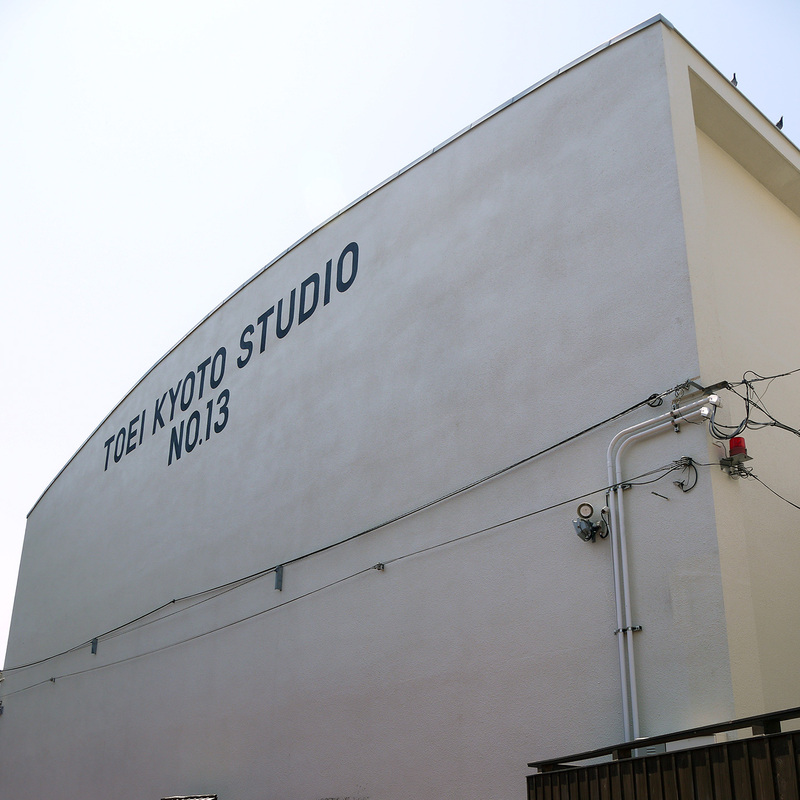 For indoor shots, they use actual studios located directly beside the park. Unfortunately, we weren't permitted access to studio No.13. However, there is kind of a studio open to the public. 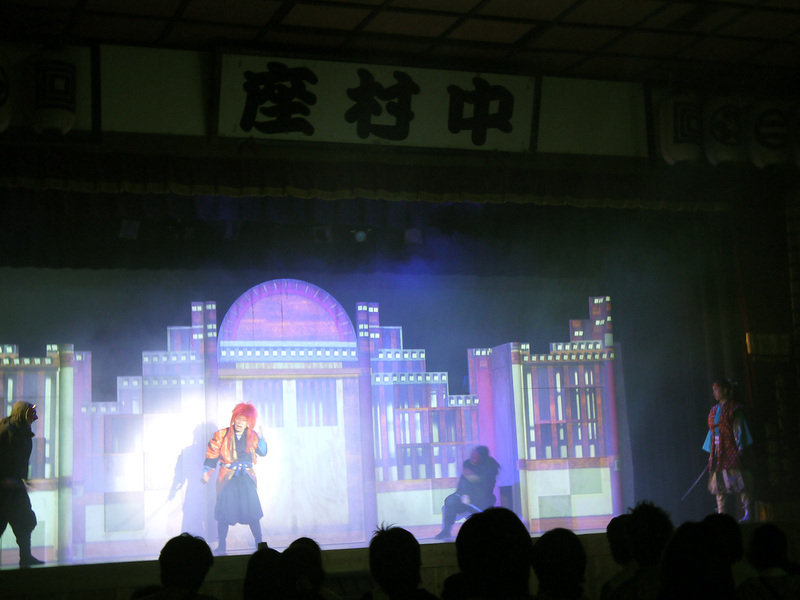 It's a free show they called "Cinema Studio Live" and it is performed five times a day. In this show, they explain how samurai films are made. 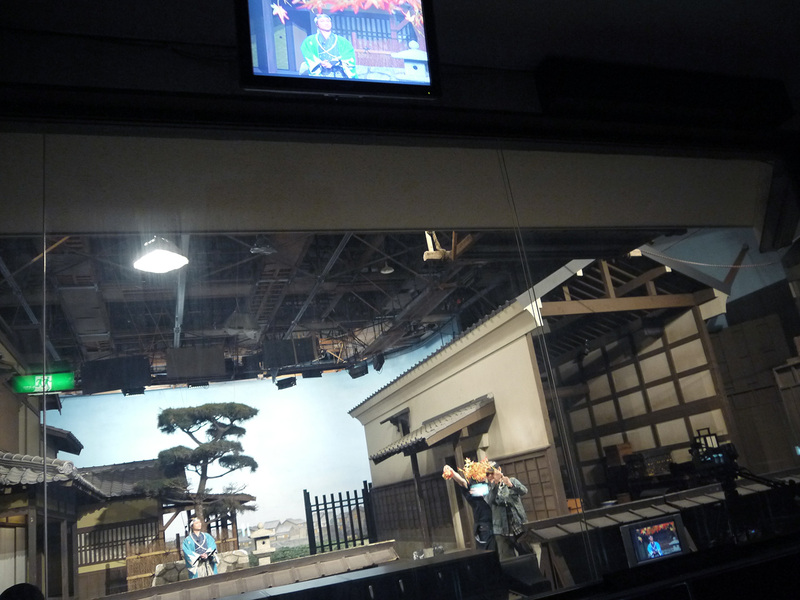 There are small monitors visible to the audience that allow you to instantly see what the scene they are shooting at the moment would look like on television or the big screen. There are no subtitles, but you can likely figure out what is happening just by watching and it will be quite funny. While we're on the topic of shows, there are others besides the example above. You'll get the schedule upon entering the park. One of them is this Ninja action show "Goemon" which boasts the latest in 3D project mapping systems. Nearby I found this door. 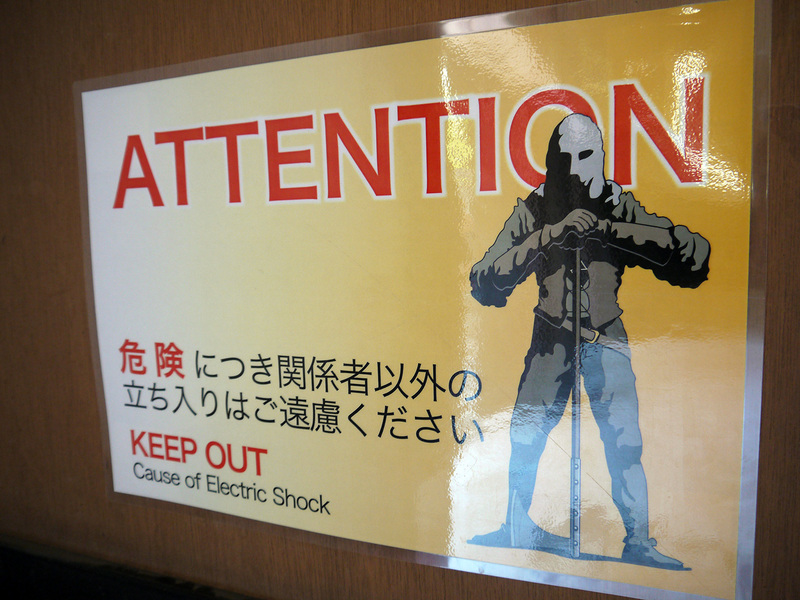 I don't know if there are some dangerous ninjas in there or if it's just filled with high-tech electronic equipment, but the Ninja Action Studio definitely has a scary secret spot you dare not enter. 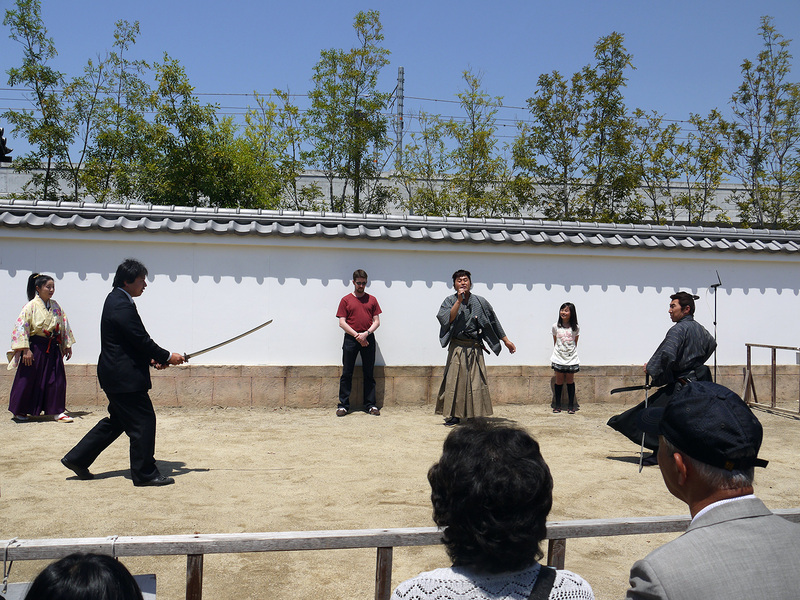 Another famous attraction is the samurai sword fighting show. This place is really neat because not only do you get to see them fighting professionally, but you may also get a chance to fight against them! Take for example this businessman in the following photo. I couldn't get a photo of it, but I also saw a foreign tourist try his luck with the sword. Get yourself into the front row to watch, both for a better view and because the odds of being chosen increase! 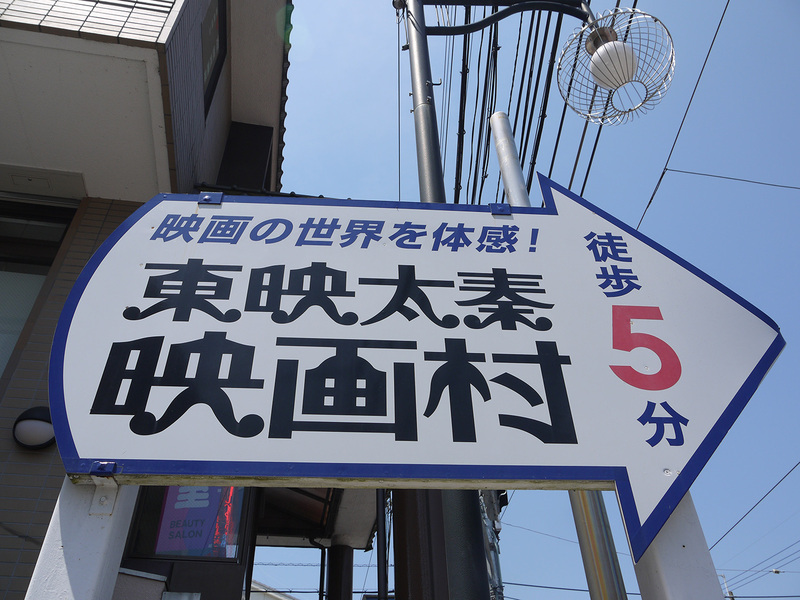 When you get hungry, there are seven places to eat. I won't list all of them, but here are a few. 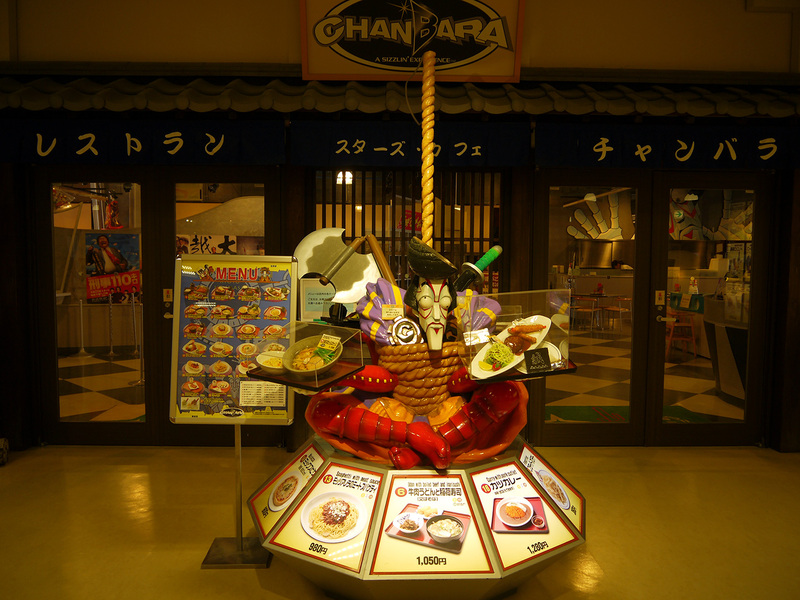 One is this modern restaurant "Chanbara" with Goemon. They present some food samples on their dishes out front. They looked delicious, but I didn't find them overly special, so I moved onto the next restaurant. 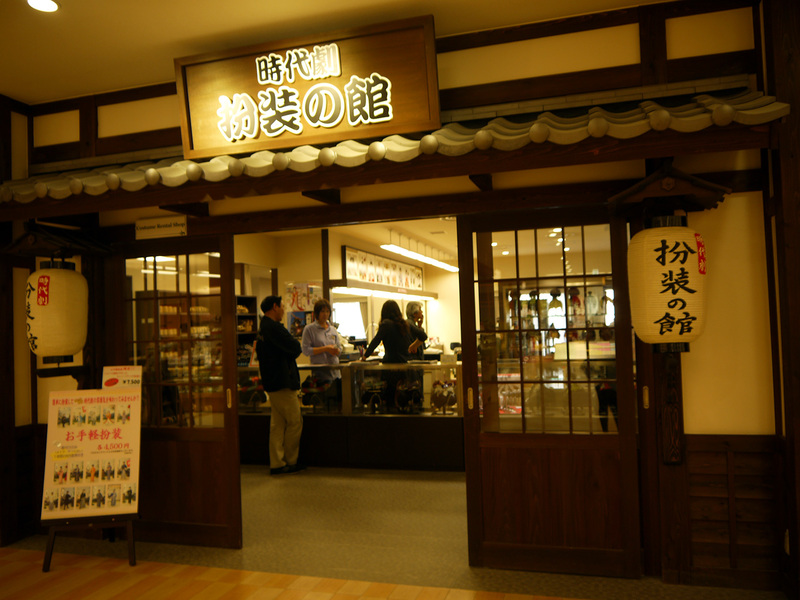 Another is this old-fashioned udon restaurant. They make their noodles by hand, and I also learned that this place is also sometimes used in contemporary dramas, so I was intrigued, though not quite enough to enter. 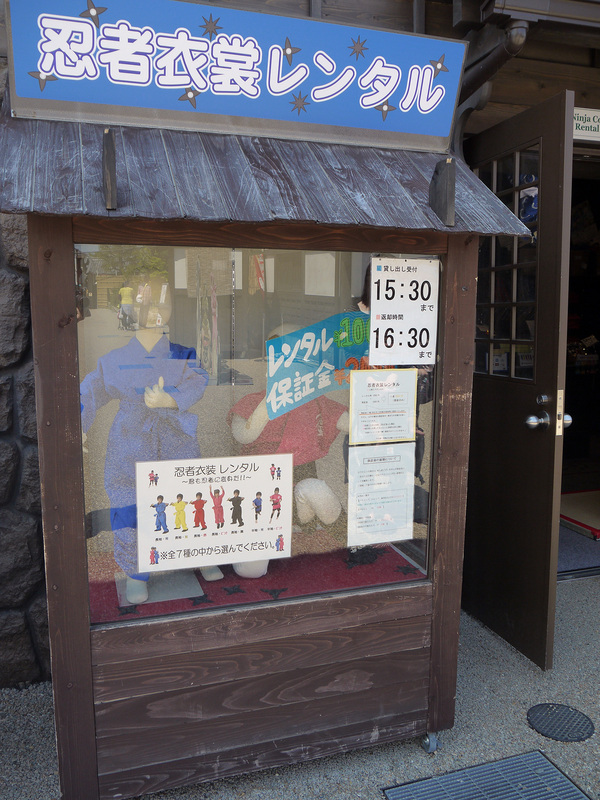 In the end, though, I ended up going to the Ninja Cafe. I liked the look of the building and the cute food sets. 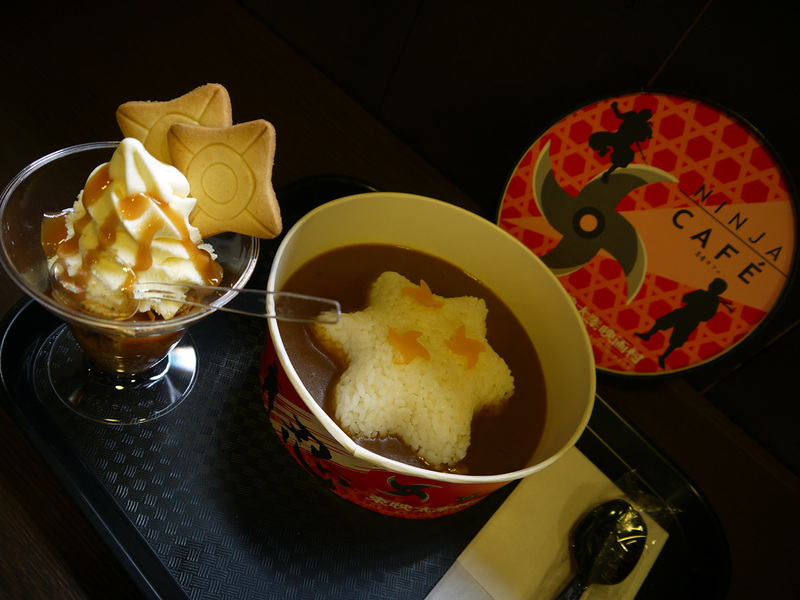 I ordered NINJA Curry and the NINJA STAR SUNDAE. Both are appropriately decorated with ninja stars though neither were extraordinary taste-wise. Oh well. Being the Japanese girl that I am, I do like kawaii stuff, so I couldn't help but go for the dishes in this place. 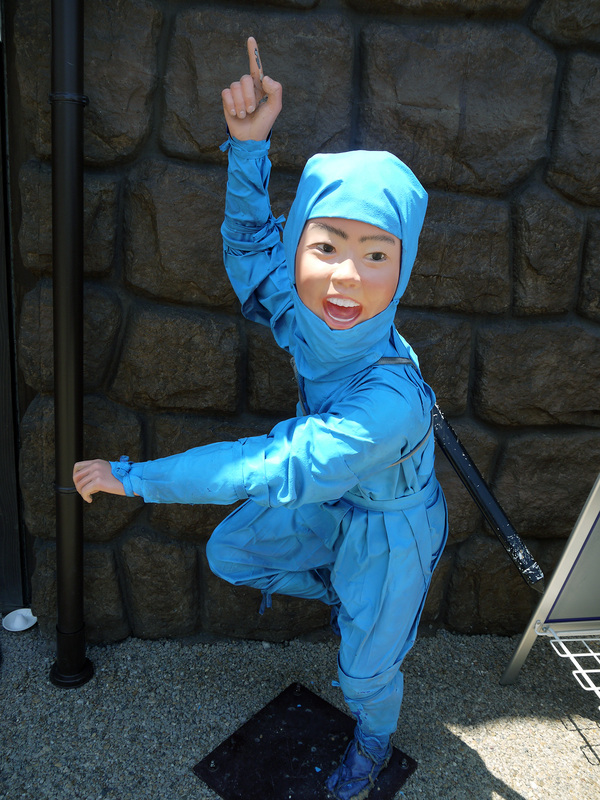 Before leaving the studio park, don't forget to take some commemorative photos with a samurai or ninja. You can see plenty of them roaming the park and if you ask them they will happily take a photo with you. Before you go, make sure to look out for the hardest worker in the park. He never gets a break, except on rainy days. He finally took one day off only after being struck by lightning. Being the diligent ninja that he is, he somehow mustered the strength to come back from vacation. Because of his devotion, he is often chosen by students on field trips as the most memorable thing in the studio park (besides, of course, the dinosaur in the pond). If you want to give him a salute, make sure to come on a sunny day. 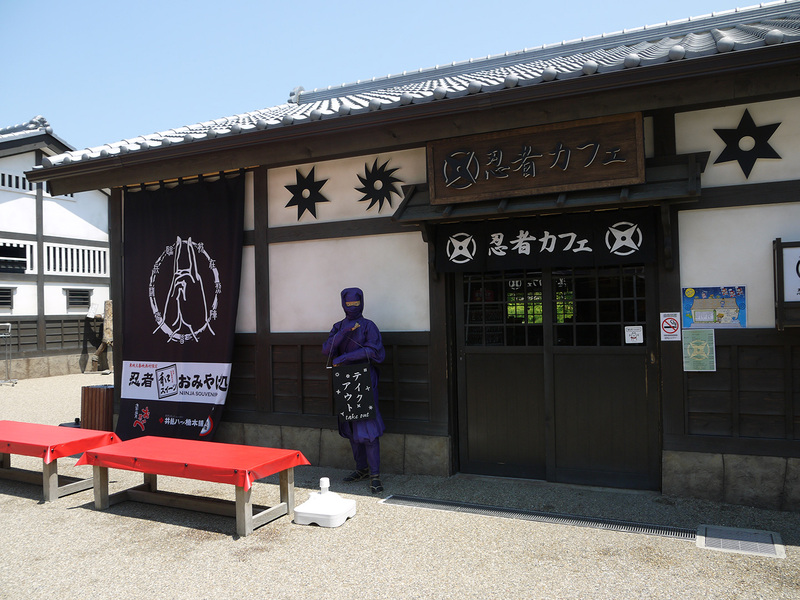 If you're interested in samurai, ninjas, or just want to see something new, definitely come by the Toei Uzumasa Eigamura Park. 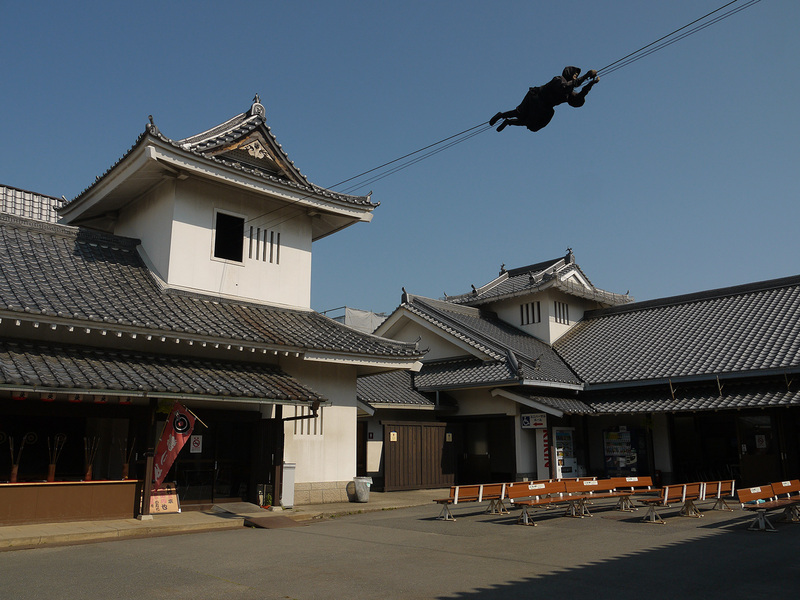 Since so many of the attractions involve people, you'll surely see something unique every time, and if you're lucky a ninja may allow you to see them. 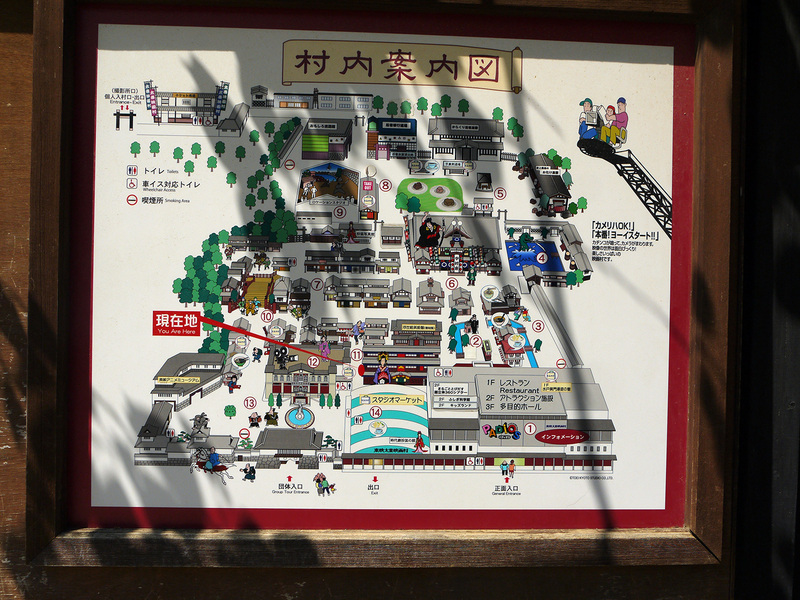 There are plenty of other attractions I didn't get to go here in the park – here's a map of what you can see. You can easily spend the greater part of a day here, if you see all the shows, attractions, and restaurants. 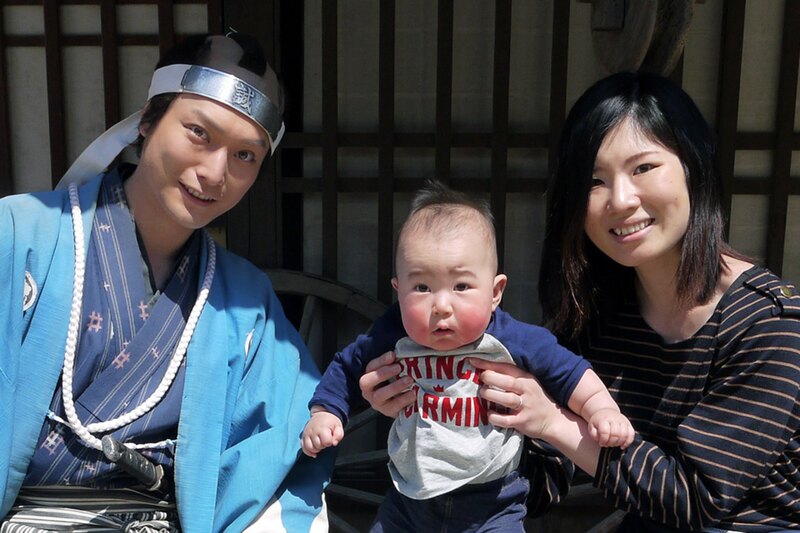 If you want to know more about what it's like to work here and be a samurai, though, please read my interview with a samurai. 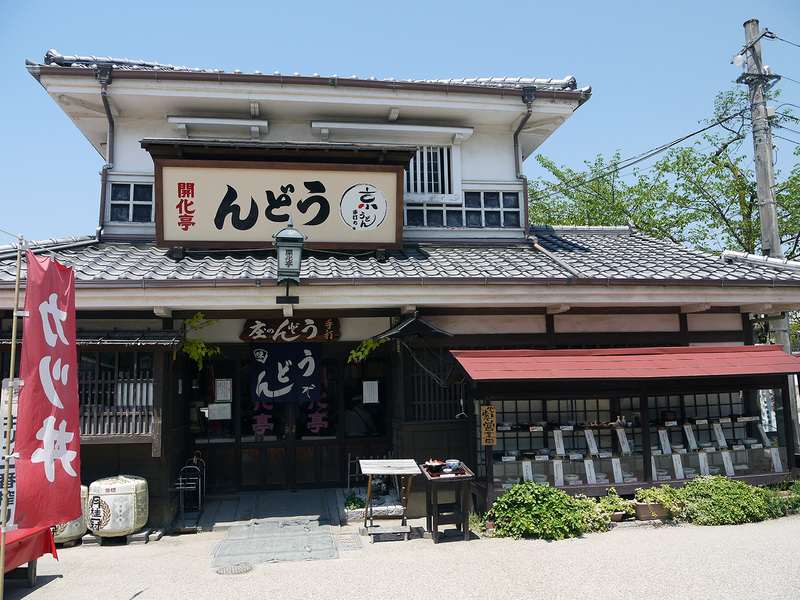 The Toei Eigamura is a five minute walk from Uzumasa Koryuji Station on the "Keifuku Arashiyama Line" called "Randen" or a 15 minutes walk from JR Hanazono Station. 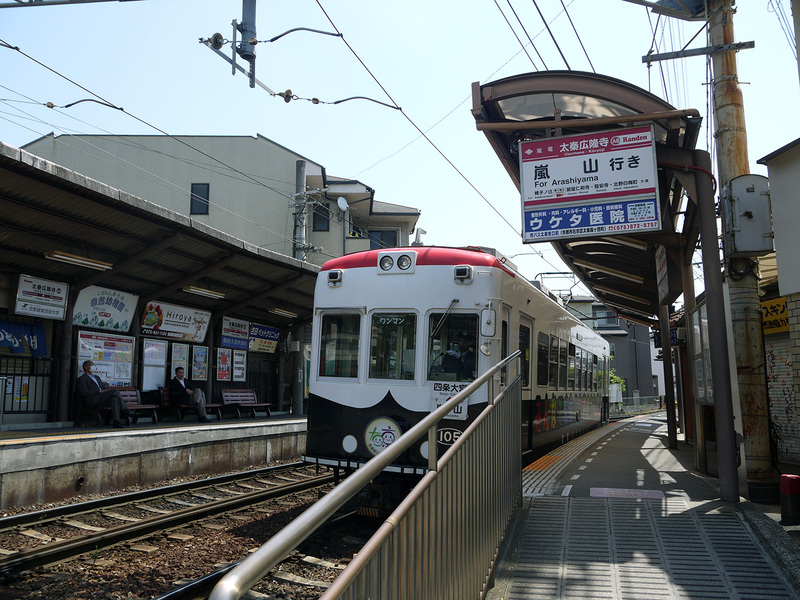 It can also be reached in about half an hour by Kyoto City Bus 75 or Kyoto Bus 71, 72, or 73 from Kyoto Station or by Kyoto City Bus 11 or 91 or Kyoto Bus 61, 63 or 64 from Shijo Avenue in central Kyoto. sign From either station, you see the sign depicted in the picture above leading you to the Studio Park. It's actually pretty difficult to get lost, but if you do, look to the shadows, there just might be a ninja on break to ask for directions. Although the admission fee is quite expensive, this place has so many things and events, and they’re all worthwhile. People who work here are friendly and very entertaining (many of them are actual actors and actresses). I recommend you to stop by here, if you haven’t yet. I visited here twice, and both times were great. Not fantastic or amazing, just great. 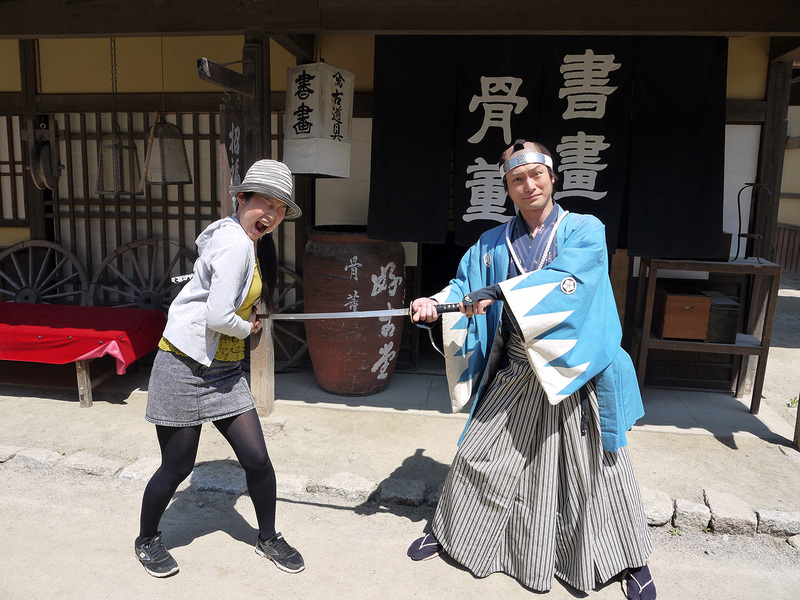 I liked walking through the Edo period towns, and watching the sword fights. 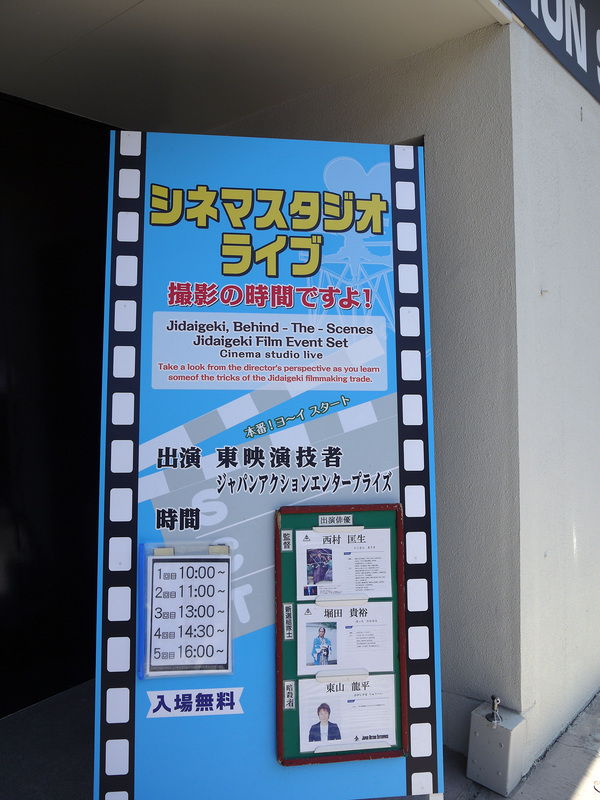 The more history you know, and the more you like jidai-geki films, the more fun you’ll have. My only regret is that I didn’t go to the Super Sentai exhibit. I wasn’t into tokusatsu at the time, so I missed out. If I’d gone to that, my rating might be higher.